Fortunately, where there’s a skin-care problem, there’s a skin-care solution. Our favorite brands are quickly catching on to the need for formulas that can combat the effects of blue light, which means a crop of new products that can help minimize that damage — and, in some cases, even prevent it before it happens. Click through to see our roundup of products to tackle HEV light, from SPFs to eye creams and everything in between. Dr. Murad explains that the star ingredient in his lightweight SPF 50 sunscreen is lutein, a powerful antioxidant that protects blue light from penetrating the skin while simultaneously creating a barrier against atmospheric pollutants like carbon particles, heavy metals, and chemical pollutants. Combined with iron oxides to help color correct, and vitamin C to brighten, its soft peach tint and pleasantly matte, makeup-ready finish make it ideal for wearing under makeup or alone. 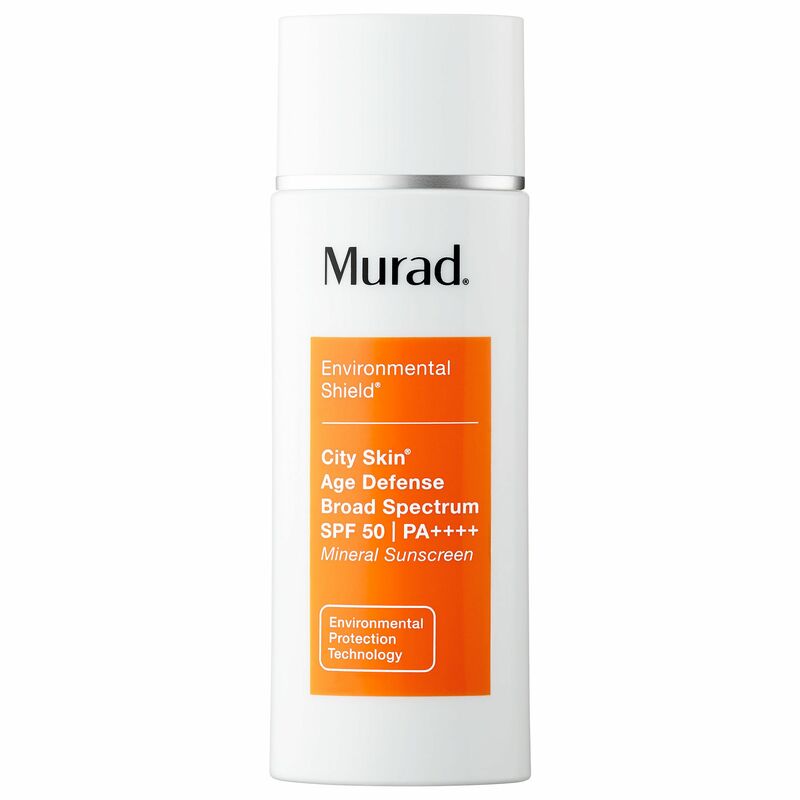 Murad City Skin Age Defense Broad Spectrum SPF 50 PA++++, $65, available at Sephora. One of the very first products on the market to be designed specifically to combat the effects of HEV light, this luxe day cream doesn’t contain SPF, but rather a form of melanin that Dr. Sebagh says naturally shields the skin from the damaging effects of blue light. Of course, it shouldn’t replace sun protection as the last step in your routine, but it’s certainly an extra line of defense… especially if your day job involves sitting in front of a computer screen for hours on end. 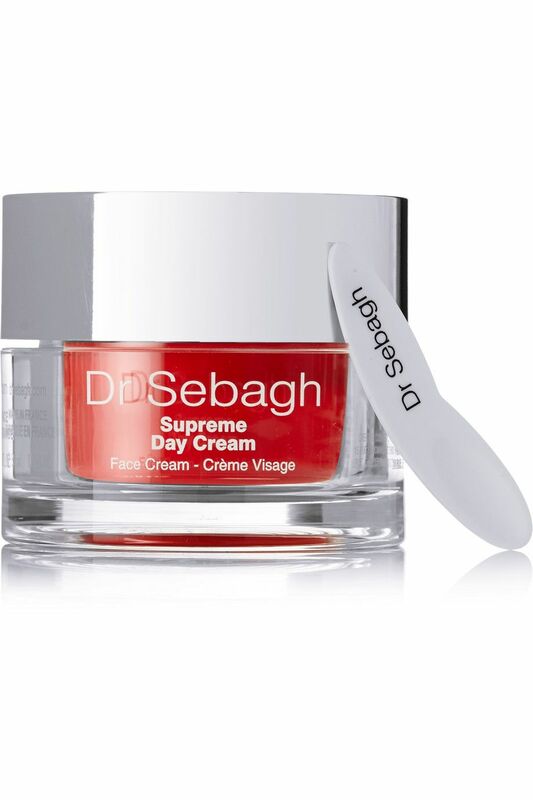 Dr Sebagh Supreme Day Cream, $220, available at Net-a-Porter. Treat HEV-fatigued skin with this superfood-for-your-skin treatment. Rich in omega fatty acids, potent antioxidants, and restoring ceramides, the lotion works to strengthen the skin barrier, provide and retain moisture, and reduce the appearance of lines and wrinkles to eliminate a dull and dehydrated complexion. 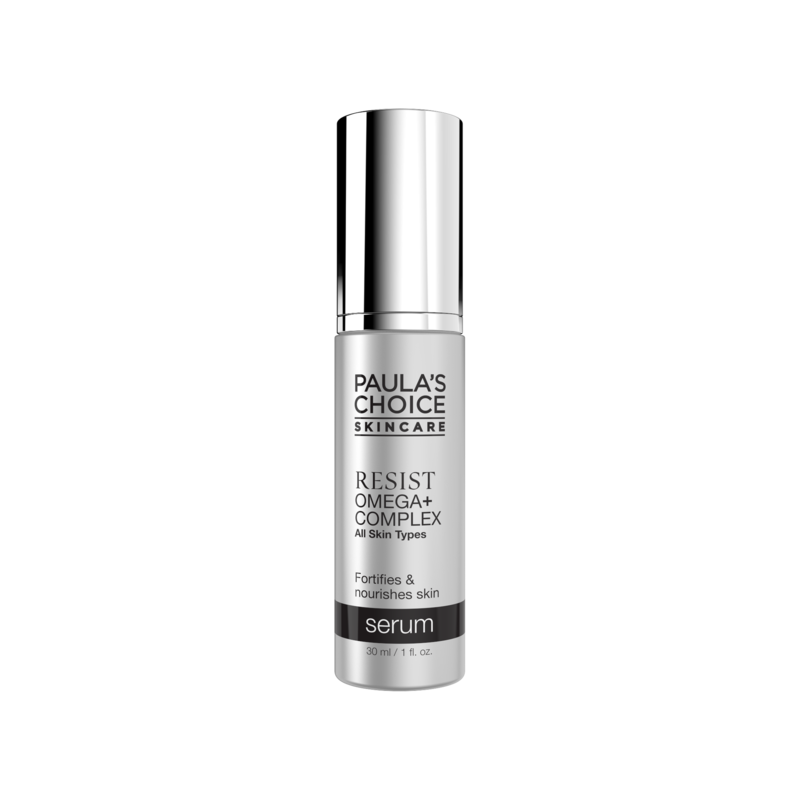 Paula’s Choice Resist Omega+ Complex Serum, $36, available at Paula’s Choice. As one of the most potent topical vitamin C serums on the market, this daytime formula is crucial for reducing the appearance of hyperpigmentation and uneven skin tone — the perfect complement to a high-SPF sunscreen for refining skin texture and delivering a brighter, more uniform complexion over time. Used as a complement to sunscreen, this should’t be used in place of an SPF, it refines skin texture and delivers a brighter complexion for a more uniform skin tone. 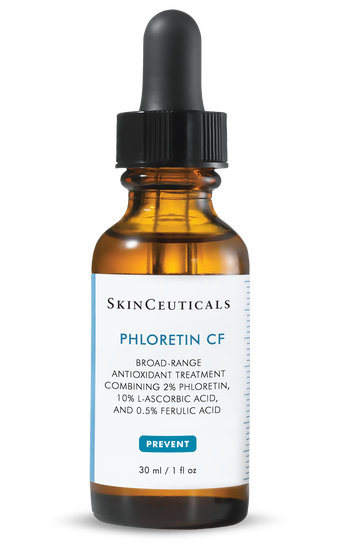 SkinCeuticals Phloretin CF, $165, available at SkinCeuticals. Thanks to its key ingredient of cantaloupe extract, this lightweight, oil-free liquid forms a veil-like film over the skin to protect it from UV rays, sun-induced damage, and environmental aggressors and pollution. 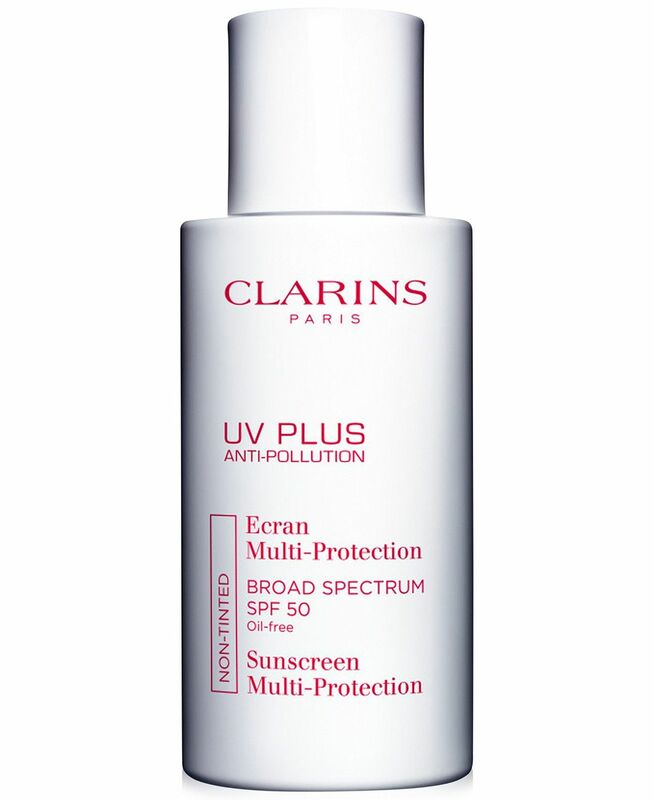 Clarins UV Plus Anti-Pollution Sunscreen Multi-Protection Broad Spectrum SPF 50, $43, available at Macy’s. Strained eyes aren’t the only side effect of staring at a screen for too long: Blue light can also damage the delicate eye area. This silky cream is enriched with a blend of antioxidant-rich white tea and birch extracts to reduce visible signs of aging, and the protective layer of SPF 20 is just an added bonus. 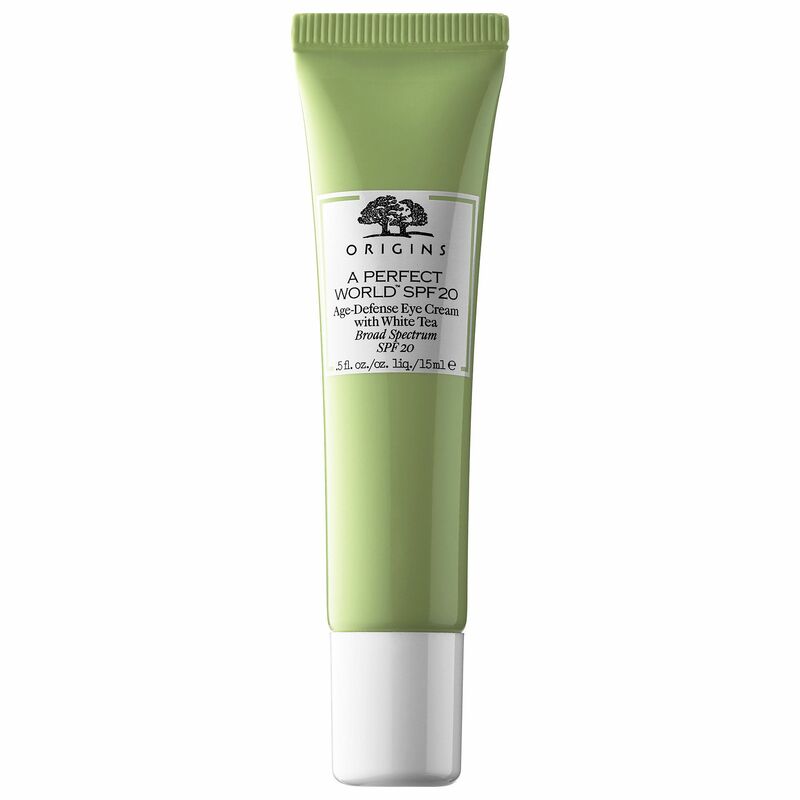 Origins A Perfect World SPF 20 Age-Defense Eye Cream with White Tea, $39, available at Sephora.